Over the last few days, the 2018 NBA All-Star Weekend has been taking Los Angeles by storm. 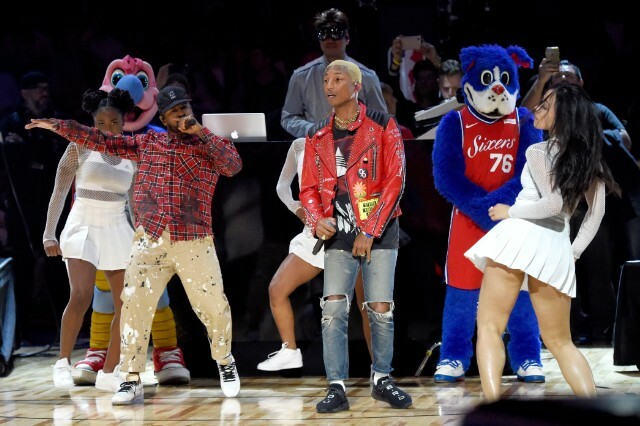 On Friday, Quavo, Win Butler, and Justin Bieber took part in this year’s All-Star Celebrity Game, Kanye West made a surprise appearance with Kid Cudi, and Win Butler even sang karaoke. Last night, N.E.R.D. performed at the game’s halftime show. Working through a medley of hits from their latest album No_One Ever Really Dies, the trio played their songs “Lapdance,” “1000,” and “Lemon.” The band later brought out Migos to perform their Pharrell-produced track “Stir Fry.” Watch their full performance below.